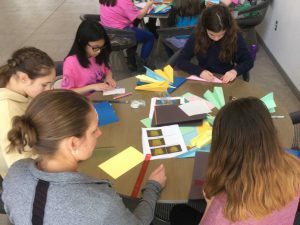 Several Warwick Valley Middle School students had an amazing time Saturday at the third annual Girls Rock STEM event at SUNY New Paltz. 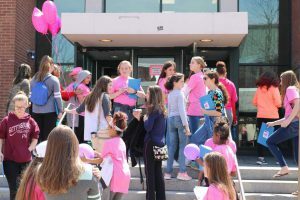 More than 150 girls in grades 6-8 from schools across the region attended the event, which included an array of STEM (science, technology, engineering and math) workshops, such as the science behind making mozzarella, termite behavior, building bat boxes, soldering circuits, paper airplanes, and forensics. 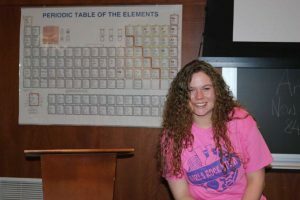 The keynote speaker was WVHS junior Hannah Davis, who spoke about her love of chemistry and the women who inspire her. She urged the young students to go beyond their comfort zones and follow their dreams. 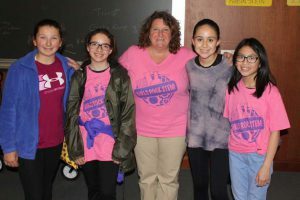 WVMS life science teacher Tracey Waters, a NYS Master Teacher, co-chaired the event, and WVHS master teachers Lisa Howard (math) and Lisa Reece (science), also participated.